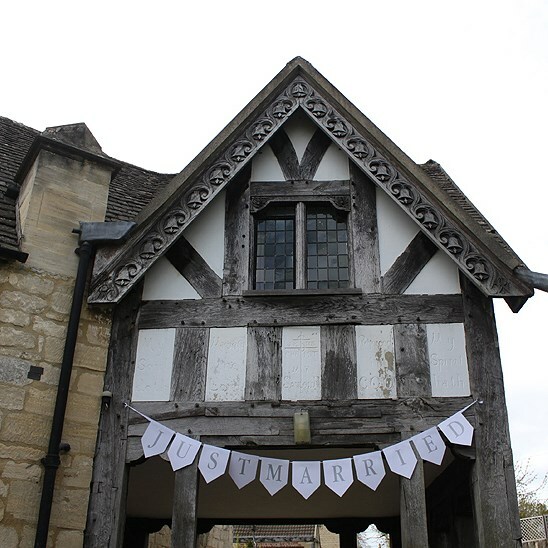 A white, card "Just Married" bunting. An elegant decoration to create a stunning statement at the wedding reception or party. Drape at the venue or outside as the bride and groom make their departure, or even at home when the happy couple return from honeymoon.